Recognising a gap in the franchising industry for a cost effective, all-in-one franchising solution, leading Australian franchisor, Hire A Hubby, has launched cloud-based franchising system, Franchise Cloud Solutions. Leveraging cloud-based Salesforce software and accessible on all devices, Franchise Cloud Solutions is an end-to-end franchising system with the capability to manage every possible function in a franchise. With the potential to replace all out-of-date and inefficient franchisor legacy systems, the solution offers franchisors real-time reporting, a single source of truth for data, accounting integration, benchmarking capability, Franchise Code compliance and marketing automation. Recognising that there are hundreds of expensive and clunky franchising IT systems being built and used in isolation, Franchise Cloud Solutions was developed as a cost effective and best practice industry solution. Franchise Cloud Solutions has been developed and tested successfully with Hire A Hubby over the past six years, and is Australian owned and operated. As an out-of-the-box solution, Franchise Cloud Solutions doesn’t attract the development expenses and ongoing maintenance costs of building a system from scratch. Franchise Cloud Solutions takes care of all development and maintenance, enabling franchisors to maintain their focus on their core business whilst reducing the need for large CAPEX commitments. Thanks to finance partner 3E, Franchise Cloud Solutions offers a Software and Services Finance package to help franchisors avoid an upfront capital outlay. The costs of the solution, licensing, installation, training, and consultancy are combined into one finance agreement and a payment plan over 36 months. 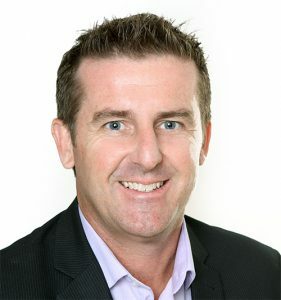 MD of Franchise Cloud Solutions and CEO of Hire A Hubby, Brendan Green, suggests that since the system has been developed by franchisors, with the unique needs of franchisors in mind, it is unlike anything else on the market. “Six years ago, Hire A Hubby embarked on a digital transformation project to develop a bespoke franchising system to manage every part of our business digitally,” says Green. “We set out to develop a system which would give us the tools to improve franchisee retention and recruitment, provide better transparency over franchisee operations and ensure simpler franchisor compliance. “During the development and rollout, we quickly realised that the system had huge untapped potential to become a cost effective, flexible and scalable industry wide solution. “We realised just how valuable it would be to have a franchising system on the market which is actually developed and tested by franchisors. As a franchisor, we understand the unique pain points and opportunities for franchisors, because we’ve experienced them too. “We also recognised that by offering an out-of-the-box, yet customisable solution, it significantly reduces the cost for franchisors – therefore equipping both emerging franchisors and established franchisors alike with cutting edge franchising software at a fraction of the cost. Hire A Hubby won the 2017 FCA Excellence in Franchising Award in the Franchise Innovation category for the team’s work on Franchise Cloud Solutions, as well as the Excellence in Marketing award, and was shortlisted in two other categories including Established Franchisor of the Year. For more information on Franchise Cloud Solutions visit www.franchisecloudsolutions.com or call 1800 227 881.